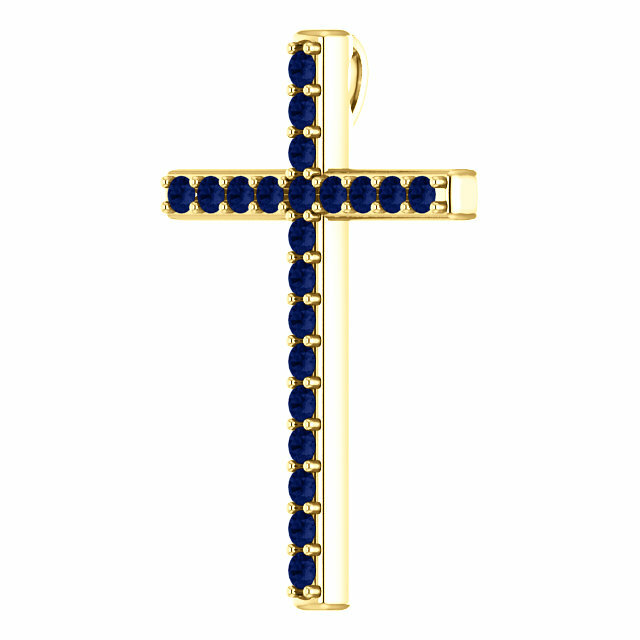 The blue sapphire gemstones of this gold cross pendant is a beautiful reminder of the sapphire gems which appear in the Bible. "Then I looked, and, behold, in the firmament that was above the head of the cherubims there appeared over them as it were a sapphire stone, as the appearance of the likeness of a throne" (Ezekiel 10:1). The cross pendant is set with 21 genuine "A" rated quality 2mm sapphire gemstones. There is a hidden hoop/bale behind the cross which is not seen, to create the utlimate in beauty and aesthetics when worn. Add one of our gold cable chain necklaces in 18" or 20" to complete the cross, or wear it with one of your own. 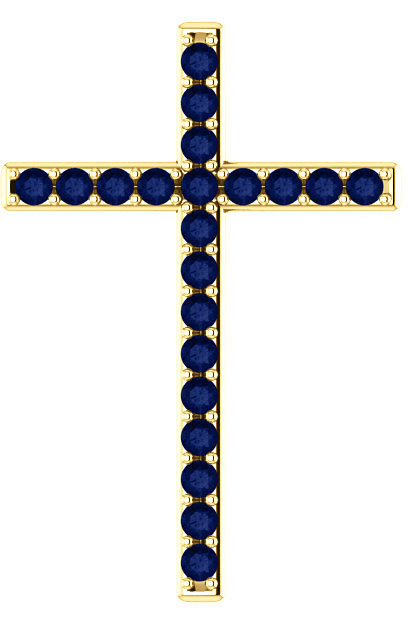 We guarantee our Blue-Sapphire Throne Gold Cross Pendant to be high quality, authentic jewelry, as described above.